The wintry forest of Thirsk was silent when Local Defence Detachment Kyllikki gathered for the annually held platoon inspection on 7 December. It was time for every soldier of LDDK to recall past year with joy, as they had served faithfully not only the detachment, but their country as well. Korpr Haba was awarded with Pro Kyllikki. One of the most active members in recent years, his effort and skill especially in the field of mission making have been invaluable to the detachment. Kers Sahuri was promoted to ylikersantti (ylik). Korpr Scottz was promoted to alikersantti (alik). Stm Arto was promoted to korpraali (korpr). Stm Poppius was promoted to korpraali (korpr). Stm Sakinz was promoted to korpraali (korpr). Vänr Sami and kers Charlie Frank were awarded with the 10-year Service Ribbon and vääp Raunhofer, alik Kassu, alik Lufti and korpr Hammer with the 5-year Service Ribbon in recognition of their long and active service. In addition, yliv Broileri and korprs CZ, Mika and Naatti received a Kuntoisuusloma (KL) for exemplary service. Every week the detachment faces its enemies in battle in various circumstances. In this monthly series you will be introduced to a short summary of one of the up to four battles LDDK has faced during last month. Gear up and prepare to dive in battle! 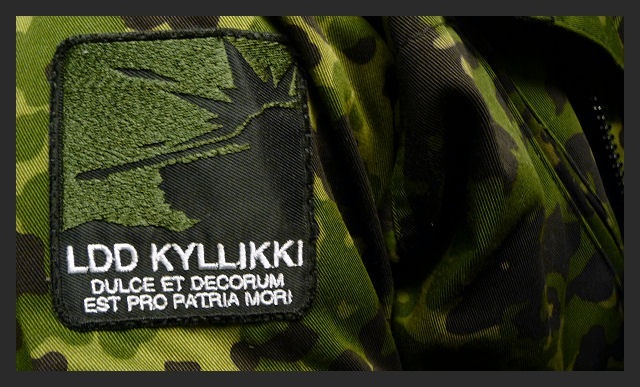 On 31 November 2014 at 2100hrs, Local Defence Detachment Kyllikki, positioned at the airbase of wintry Thirsk, faced the immediate threat of getting surrounded by the enemy and had to make its way to an extraction point nearby in Ykspihlaja. The Reconnaissance Patrol took point, and without hesitation the detachment was on the move. 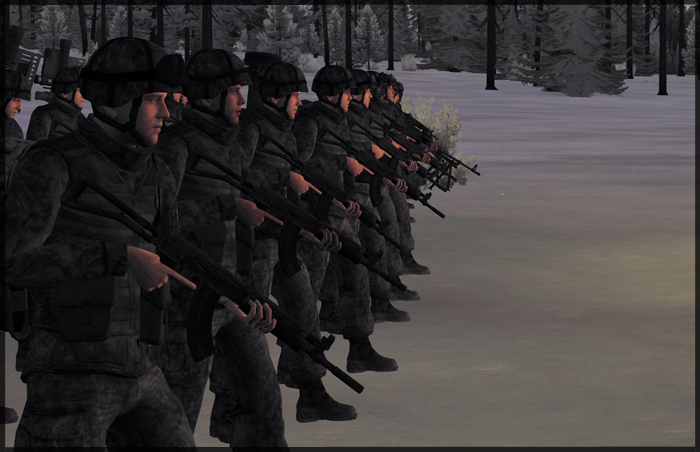 Shortly after leaving the airbase, the spearhead of the detachment made contact with the enemy. It took only a few minutes before the enemy had to deal with full force of LDDK, when the main battle tank Leopard 2A4 engaged in battle. Soon after the battle had started, commanding officer ylil Psykoisi gave an order to continue the attack through the enemy lines. Half of the detachment remained still and kept the enemy engaged in battle, while the second half of LDDK forces flanked the opposing forces’ defensive positions. The extraction point in Ykspihlaja was reached, but not without casualties. The enemy performed a counter-attack with two T-72 tanks, and the remaining members of LDDK had to fight the enemy to the last man. LDDK is now ready for the Age of Steam. The LDD Kyllikki Steam group is open for everybody, and information on upcoming operations and other events can be found on our wall from now on. Members will receive notifications one hour before each session to be sure not to miss it. You are welcome to join us! Ylik Raunhofer was promoted to Vääpeli (vääp). Korpr Lufti was promoted to Alikersantti (alik). Kers Charlie Frank was awarded with Pro Kyllikki. Kers Charlie Frank has provided the detachment with a tactics guide describing armoured warfare and has arranged several squad meetings. Kers Sahuri, korpr Haba, korpr Scottz, stm Arto and stm Poppius were awarded with Kuntoisuusloma (KL) for exemplary service. Furthermore kers Charlie Frank, kers Jarger, alik Kassu, alik Lufti, korpr Haba, korpr Scottz and stm Poppius were awarded with the Squad Leader Training Ribbon for active participation in the Squad Leader Course of 2013–2014. Alik Kassu, alik Strat, kers Charlie Frank, kers Sahuri, korpr HaBa, korpr Lufti, korpr Naatti, korpr Scottz, korpr Ukka, stm Poppius, stm Remareiska, vänr Sami, ylik KuiK, ylik Raunhofer, ylil Psykoisi and yliv Broileri have been awarded with the 9. Rota Service Ribbon for their active participation in the campaign fought in Takistan from February till April in 2014. Arde has been promoted to Sotamies (stm) and assigned to the 1st Unit - Jaeger squad, where he has been tasked with the role of an Rifleman. Congratulations! Haaska has been promoted to Sotamies (stm) and assigned to the crew of the Heavy Weapons Team in the 1st Unit. Congratulations! Following the adaption of ACE 2, LDD Kyllikki has refined its order of battle to better support the needs of modern warfare. The newly-reformed detachment comprises four units. The HQ and Support Squad, the Recon Team, the Jaeger Squad with the Heavy Weapons Team and the Mechanized Jaeger Squad reinforced by the Armored Squad are the backbone of the LDDK platoon. The new HQ and Support Squad provides the detachment with the lifeblood of combat – munitions, medical supplies and repair services – and will lead the elements in the heat of battle. The unit is under personal direction of the platoon commander, ylil Psykoisi. The Reconnaissance Team consists of highly trained LDDK veterans and is led by kers Sahuri. 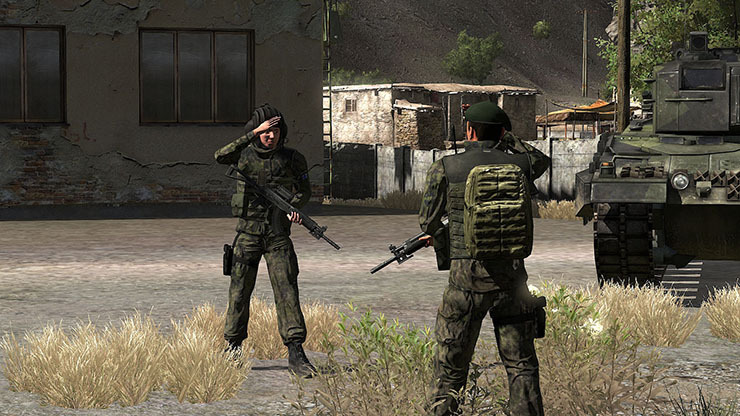 Providing the platoon with much needed intelligence, the team is also capable of hampering enemy supply lines with surgical precision and providing sniper fire where it is needed most. The 1st Unit consists of two elements: the Jaeger Squad and the Heavy Weapons Team. The two combine to create a unit that can accomplish any task required and can clear out enemy presence from an entire town if need be. Led by vänr Sami, the unit will destroy all enemy objects in its way, whether infantry or armored. The 2nd Unit is the mailed fist of the detachment. The Mechanized Jaeger Squad is supported by the Armored Squad with the platoon's heaviest equipment and can really pack a punch. You will find the 2nd Unit, led by ylik Raunhofer, in the thick of the battle cutting through enemy lines like a hot knife through butter. Arde has been recruited to the detachment. Welcome! Haaska has been recruited to the detachment. Welcome! Csharp has been promoted to Sotamies (stm) and assigned to the 1st Unit - Jaeger squad, where he has been tasked with the role of an AT rifleman. Congratulations! LDD Kyllikki starts a new year full of action. Interested in joining? Click here for more information.